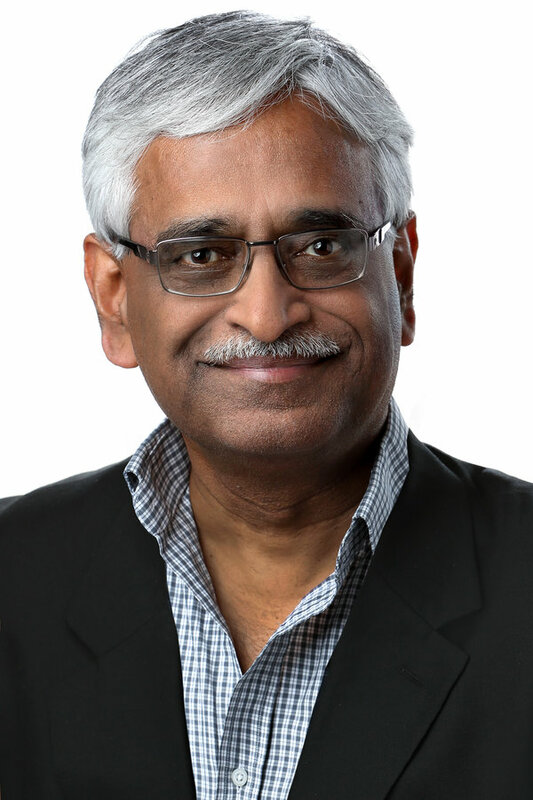 Bio: Prof. C. Mohan has been an IBM researcher for 36 years in the database and related areas, impacting numerous IBM and non-IBM products, the research and academic communities, and standards, especially with his invention of the ARIES family of database locking and recovery algorithms, and the Presumed Abort distributed commit protocol. This IBM (1997), and ACM and IEEE (2002) Fellow has also served as the IBM India Chief Scientist for 3 years (2006-2009). In addition to receiving the ACM SIGMOD Innovations Award (1996), the VLDB 10 Year Best Paper Award (1999) and numerous IBM awards, Mohan was elected to the US and Indian National Academies of Engineering (2009) and named an IBM Master Inventor (1997). This Distinguished Alumnus of IIT Madras (1977) received his PhD at the University of Texas at Austin (1981). He is an inventor of 50 patents. He is currently focused on Blockchain, Big Data and HTAP technologies (http://bit.ly/CMbcDB, http://bit.ly/CMgMDS). Since 2016, he has been a Distinguished Visiting Professor of China’s prestigious Tsinghua University. He has served on the advisory board of IEEE Spectrum, and on numerous conference and journal boards. Mohan is a frequent speaker in North America, Europe and India, and has given talks in 40 countries. He is very active on social media and has a huge network of followers. Abstract: The concept of a distributed ledger was invented as the underlying technology of the public or permissionless Bitcoin cryptocurrency network. But the adoption and further adaptation of it for use in the private or permissioned environments is what I consider to be of practical consequence and hence only such private blockchain systems will be the focus of this talk. Computer companies like IBM, Intel, Oracle, Baidu and Microsoft, and many key players in different vertical industry segments have recognized the applicability of blockchains in environments other than cryptocurrencies. IBM did some pioneering work by architecting and implementing Fabric, and then open sourcing it. Now Fabric is being enhanced via the Hyperledger Consortium (part of The Linux Foundation). A few other systems include Enterprise Ethereum, Sawtooth and R3 Corda. While currently there is no standard in the private blockchain space, all the ongoing developments involve some combination of database, transaction, encryption, virtualization, consensus and other distributed systems technologies. Some of the application areas in which blockchain pilots are being carried out are: smart contracts, derivatives processing, e- governance, Know Your Customer (KYC), healthcare, supply chain management and provenance management. Many production deployments are also operational now. Bio: Professor Yongsheng Gao is the founding research leader of the Environmental Informatics flagship program and director of Computer Vision and Image Processing Research Lab at Griffith University. He served as the project leader of Biosecurity Group, National ICT Australia (Australian Research Council Centre of Excellence) from 2009 to 2011. He is a current member of ARC College of Experts. As a Chief Investigator, he has been working on projects in Australia, Germany, Singapore, and China in the areas of smart farming, intelligent agriculture, biosecurity, face recognition, biometrics, image retrieval, computer vision, pattern recognition, environmental informatics, and medical imaging. He was also employed as a consultant by Panasonic Singapore Laboratories Pte Ltd working on the face recognition standard in MPEG-7. His research are reported in the media in Australia and Singapore, including The Australian, The Courier Mail, The Sydney Morning Herald, and The Straits Times (Singapore). Abstract: Environmental informatics studies new knowledge, technologies and devices for automation in agriculture, early detection of pest and plant disease, automatic species identification and biosecurity, plant phenomics, better water resource management, land environment monitoring, costal environment monitoring, marine life surveillance, etc. In this talk, he will introduce some of their work on automation in agriculture, faster grading and packing, species and cultivar identification, pest and disease recognition at Environmental Informatics@Griffith, including recognition without detection (background), large image database retrieval (speed vs accuracy), and pose difference (viewing angle). Bio: Dr. Reynold Cheng is an Associate Professor of the Department of Computer Science in the University of Hong Kong. He was an Assistant Professor in HKU in 2008-11. 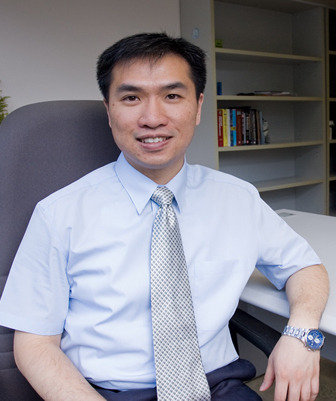 He received his BEng (Computer Engineering) in 1998, and MPhil (Computer Science and Information Systems) in 2000, from the Department of Computer Science in the University of Hong Kong. He then obtained his MSc and PhD from Department of Computer Science of Purdue University in 2003 and 2005 respectively. Dr. Cheng was an Assistant Professor in the Department of Computing of the Hong Kong Polytechnic University during 2005-08. He was a visiting scientist in the Institute of Parallel and Distributed Systems in the University of Stuttgart during the summer of 2006. 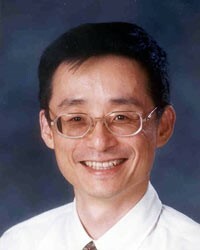 Dr. Cheng was granted an Outstanding Young Researcher Award 2011-12 by HKU. He was the recipient of the 2010 Research Output Prize in the Department of Computer Science of HKU. He also received the U21 Fellowship in 2011. He received the Performance Reward in years 2006 and 2007 awarded by the Hong Kong Polytechnic University. He is the Chair of the Department Research Postgraduate Committee, and was the Vice Chairperson of the ACM (Hong Kong Chapter) in 2013. He is a member of the IEEE, the ACM, the Special Interest Group on Management of Data (ACM SIGMOD), and the UPE (Upsilon Pi Epsilon Honor Society). He is an editorial board member of TKDE, DAPD and IS, and was a guest editor for TKDE, DAPD, and Geoinformatica. He is an area chair of ICDE 2017, a senior PC member for DASFAA 2015, PC co-chair of APWeb 2015, area chair for CIKM 2014, area chair for Encyclopedia of Database Systems, program co-chair of SSTD 2013, and a workshop co-chair of ICDE 2014. He received an Outstanding Service Award in the CIKM 2009 conference. He has served as PC members and reviewer for top conferences (e.g., SIGMOD, VLDB, ICDE, EDBT, KDD, ICDM, and CIKM) and journals (e.g., TODS, TKDE, VLDBJ, IS, and TMC). Abstract: A heterogeneous information network (HIN) is a graph model in which objects and edges are annotated with types. Large and complex databases, such as YAGO and DBLP, can be modeled as HINs. A fundamental problem in HINs is the computation of closeness, or relevance, between two HIN objects. Relevance measures, such as PCRW, PathSim, and HeteSim, can be used in various applications, including information retrieval, entity resolution, and product recommendation. These metrics are based on the use of meta paths, essentially a sequence of node classes and edge types between two nodes in a HIN. In this tutorial, we will give a detailed review of meta paths, as well as how they are used to define relevance. In a large and complex HIN, retrieving meta paths manually can be complex, expensive, and error-prone. Hence, we will explore systematic methods for finding meta paths. In particular, we will study a solution based on the Query-by-Example (QBE) paradigm, which allows us to discovery meta paths in an effective and efficient manner. We further generalise the notion of a meta path to “meta structure”, which is a directed acyclic graph of object types with edge types connecting them. Meta structure, which is more expressive than the meta path, can describe complex relationship between two HIN objects (e.g., two papers in DBLP share the same authors and topics). We develop three relevance measures based on meta structure. Due to the computational complexity of these measures, we also study an algorithm with data structures proposed to support their evaluation. Finally, we will examine solutions for performing query recommendation based on meta paths. We will also discuss future research directions in HINs. Bio: Kyuseok Shim is currently a professor at electrical and computer engineering department in Seoul National University, Korea. Before that, he was an assistant professor at computer science department in KAIST and a member of technical staff for the Serendip Data Mining Project at Bell Laboratories. He was also a member of the Quest Data Mining Project at the IBM Almaden Research Center and visited Microsoft Research at Redmond several times as a visiting scientist. Kyuseok was named an ACM Fellow for his contributions to scalable data mining and query processing research in 2013. Kyuseok has been working in the area of databases focusing on data mining, search engines, recommendation systems, MapReduce algorithms, privacy preservation, query processing and query optimization. His writings have appeared in a number of professional conferences and journals including ACM, VLDB and IEEE publications. He served as a Program Committee member for SIGKDD, SIGMOD, ICDE, ICDM, ICDT, EDBT, PAKDD, VLDB and WWW conferences. He also served as a Program Committee Co-Chair for PAKDD 2003, WWW 2014, ICDE 2015 and APWeb 2016. Kyuseok was previously on the editorial board of VLDB as well as IEEE TKDE Journals and is currently a member of the VLDB Endowment Board of Trustees. He received the BS degree in electrical engineering from Seoul National University in 1986, and the MS and PhD degrees in computer science from the University of Maryland, College Park, in 1988 and 1993, respectively. Abstract: There is a growing trend of applications that should handle big data. However, analyzing big data is very challenging today. For such applications, the MapReduce framework has recently attracted a lot of attention. MapReduce is a programming model that allows easy development of scalable parallel applications to process big data on large clusters of commodity machines. Google’s MapReduce or its open-source equivalent Hadoop is a powerful tool for building such applications. In this tutorial, I will first introduce the MapReduce framework based on Hadoop system available to everyone to run distributed computing algorithms using MapReduce. I will next discuss how to design efficient MapReduce algorithms and present the state-of-the-art in MapReduce algorithms for big data analysis. Since Spark is recently developed to overcome the shortcomings of MapReduce which is not optimized for of iterative algorithms and interactive data analysis, I will also present an outline of Spark as well as the differences between MapReduce and Spark. The intended audience of this tutorial is professionals who plan to develop efficient MapReduce algorithms and researchers who should be aware of the state-of-the-art in MapReduce algorithms available today for big data analysis. Bio: Shuai Ma is a full professor in the School of Computer Science and Engineering, Beihang University, China. He obtained two PhD degrees: University of Edinburgh in 2010 and Peking University in 2004, respectively. His research interests include database theory and systems, and big data. He is a recipient of the best paper award of VLDB 2010, the best challenge paper award of WISE 2013, the National Science Fund of China for Excellent Young Scholars in 2013, and the special award of Chinese Institute of Electronics for progress in science and technology in 2017 (8/15). He is an Associate Editor of VLDB Journal since 2017. Abstract:Over the past a few years, research and development has made significant progresses on big data analytics with the supports from both governments and industries all over the world, such as Spark, IBM Watson and Google AlphaGo. A fundamental issue for big data analytics is the efficiency, and various advances towards attacking these issues have been achieved recently, from theory to algorithms to systems. In this talk, we shall present the idea of approximate computation for efficient and effective big data analytics: query approximation and data approximation, based on our recent research experiences. Different from existing approximation techniques, the approximation computation that we are going to introduce does not necessarily ask for theoretically guaranteed approximation solutions, but asks for sufficiently efficient and effective solutions in practice. Bio: Dr. Lina Yao is currently a lecturer in the School of Computer Science and Engineering, University of New South Wales. 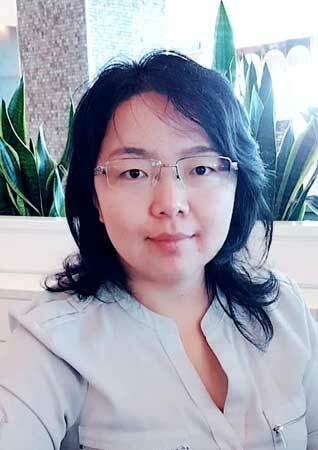 Her research interests lie in data mining and machine learning applications with the focuses on Internet of Things, recommender systems, human activity recognition and Brain-Computer Interface. Abstract:Internet of Things (IoT) enables the connection and integration of physical world and virtual world. A vast amount of interactive data between human and the real world being created by diverse sensing sources can be readily collected. Such growing interconnections powered with intelligent approaches open up a new world of broader possibilities and innovations with a deeper understanding of human behaviors. In this tutorial, I will introduce the methodologies to learn actionable knowledge from the monitored environment, in order to take actions on the situations and improve decision-making process, present real-world application examples and discuss the future research directions. 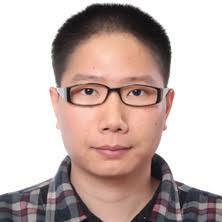 Bio: Dr. Hongzhi Yin is now working as a lecturer in data science and an ARC DECRA Fellow (Australia Discovery Early Career Researcher Award) with The University of Queensland, Australia. He received his doctoral degree from Peking University in July 2014. After graduation, he joined the school of ITEE, the University of Queensland. He successfully won the ARC DECRA award in 2015 and obtained an ARC Discovery Project grant as a chief investigator in 2016. His current main research interests include social media analytic, user profiling, recommender system, especially spatial-temporal recommendation, topic discovery and event detection, deep learning, user linkage across social networks, knowledge graph mining and construction. He has published over 70 peer-reviewed papers in prestigious journals and top international conferences including ACM TOIS, VLDBJ, IEEE TKDE, ACM TKDD, ACM TIST, ACM SIGMOD, ACM SIGKDD, VLDB, IEEE ICDE, AAAI, SIGIR, WWW, ACM Multimedia, ICDM, WSDM and CIKM. He has been actively engaged in professional services by serving as conference organizers, conference PC members for PVLDB, SIGIR, ICDE, IJCAI, ICDM, CIKM, DASFAA, ASONAM, MDM, WISE, PAKDD and reviewer of more than 10 reputed journals such as VLDB Journal, TKDE, TOIS, TKDD, TWeb, IEEE Transactions on Cybernetics, WWW Journal, Knowledge-based system and etc. Abstract: The rapid development of Web 2.0, location acquisition and wireless communication technologies has fostered a profusion of geo-social networks (e.g., Foursquare, Yelp and Google Place). They provide users an online platform to check-in at points of interests (e.g., cinemas, galleries and hotels) and share their life experiences in the physical world via mobile devices. The new dimension of location implies extensive knowledge about an individual’s behaviors and interests by bridging the gap between online social networks and the physical world. It is crucial to develop spatio-temporal recommendation services for mobile users to explore the new places, attend new events and find their potentially preferred spatial items from billions of candidate ones. Compared with traditional recommendation tasks, the spatio-temporal recommendation faces the following new challenges: Travel Locality, Spatial Dynamics of User Interests, Temporal Dynamics of User Interests, Sequential Influence of user mobility behaviors and Real-time Requirement. In this talk, I will present our recent advancement of spatio-temporal recommendation techniques and how to address these unique challenges. 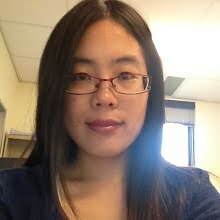 Bio: Dr. Weiqing Wang is now working as a Research Fellow in the school of ITEE, the University of Queensland, where she also obtained her PhD in July on 2017. She will join Monash University as a lecturer in data science in this July. Her major research interests include user modelling and recommender systems, especially spatial-temporal recommender systems. She has published over ten peer-reviewed papers in prestigious journals and top conferences including IEEE TKDE, ACM TOIS, ACM TIST, ACM SIGKDD, ACM SIGIR, IEEE ICDE, ACM Multimedia, and CIKM.